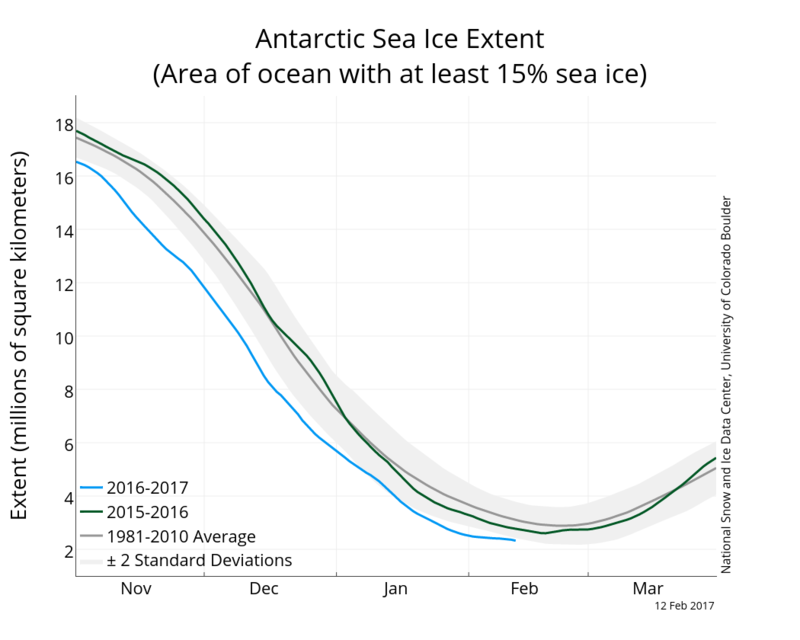 Antarctic sea ice extent 12 Feb 2017 & diff from mean 1989-93 on same day. Blues imply more ice and reds imply less compared with the mean. On the left is the sea ice extent from the DMSP satellite 12 February 2017, and on the right the difference between the mean sea ice extent on 12 Feb over the period 1989-93 and 12 Feb 2017. I chose this time period as the cycle has been generally quite stable from year to year. Antarctic sea ice extent. Downloaded from NSIDC 14 February 2017. It's clear the sea ice over the summer 2016-17 is showing historic lows. But it's also clear from the sea ice extent above that there is little sea ice left to melt out before the summer turns. 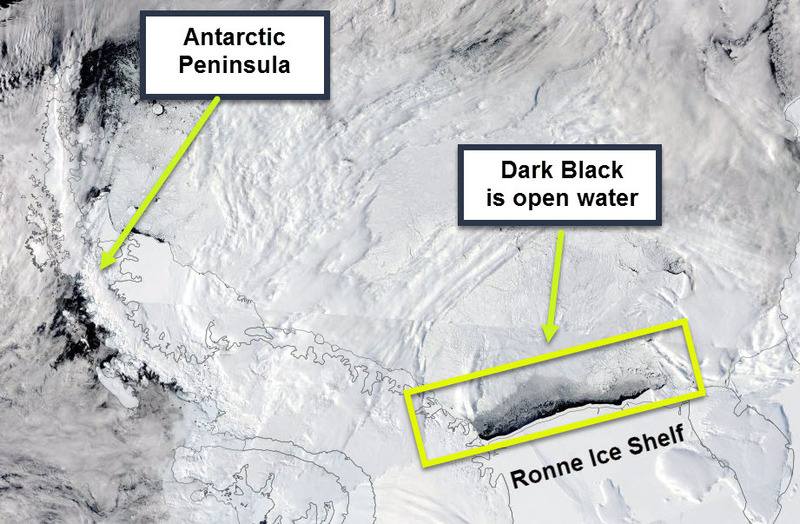 Where the sea ice remains - mainly in the Weddell Sea and along the coast of Wilkes Land it is clearly densely packed. If the winds change and the remaining sea ice is decompressed then the extent may fall some more. And finally the difference between the mean sea ice extent by day for the 5-year period 1989-1993 minus the concentration from 1 Jan to 12 Feb 2017. Blue shades imply an increased sea ice extent compared with a 5-year mean, and reds imply a decreased sea ice extent. The difference between the mean sea ice extent by day for the 5-year period 1989-1993 minus the concentration from 1 Jan to 12 Feb 2017. Blue shades imply an increased sea ice extent compared with a 5-year mean, and reds imply a decreased sea ice extent. Not long until the Antarctic sea ice minimum. Posted in Science. Tags: Amundsen Sea, antarctica, sea ice on February 14, 2017 by Mark Brandon. An Arctic Summer: Boring Through the Pack in Melville Bay by William Bradford and painted in 1871. If you look really closely you can see it is a steam assisted ship. 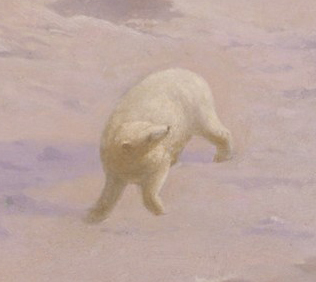 Detail from: An Arctic Summer: Boring Through the Pack in Melville Bay by William Bradford, 1871. I really like the colours in the sea ice in the foreground. It's hard not to see that when you are in the sea ice. And let's not forget the ice bear in the foreground. 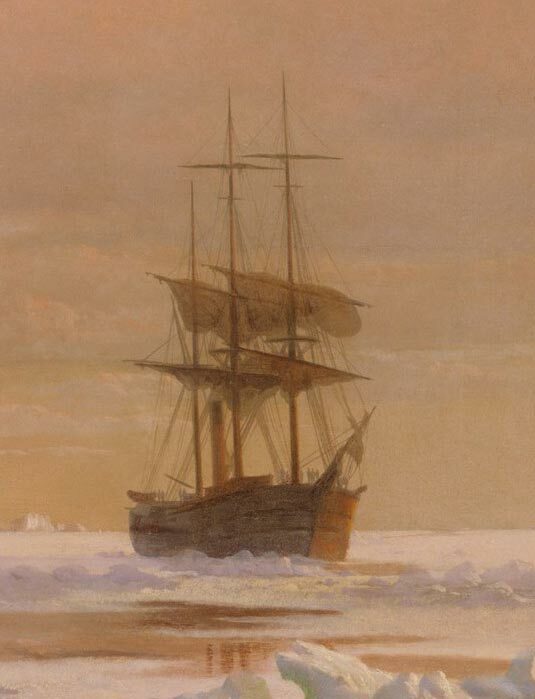 In 1861 the marine painter William Bradford made the first of his eight expeditions to the Arctic. 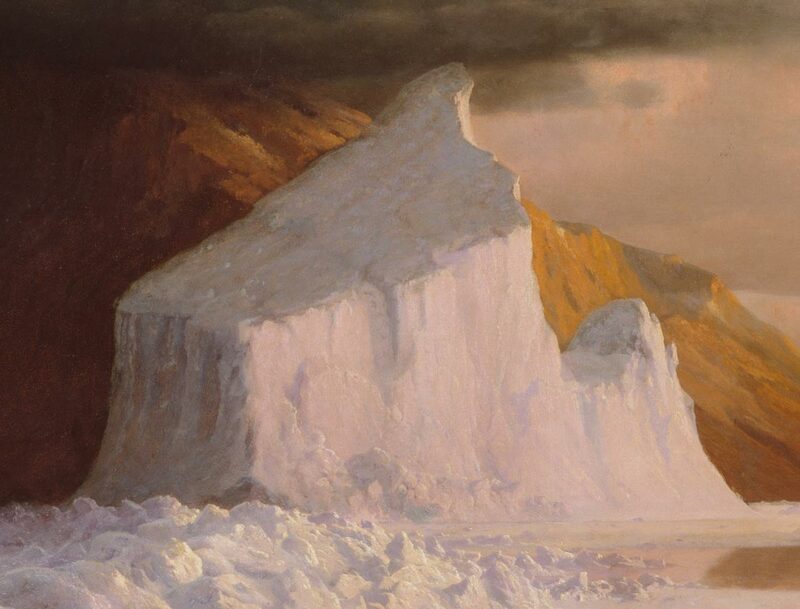 This painting, based on photographs and sketches produced during his final trip, in 1869, shows the artist’s steamer, Panther, plying its way through the summer ice along the northern coast of Greenland. Panther was one of numerous vessels engaged in the search for the Northwest Passage between the Atlantic and Pacific Oceans. According to Bradford’s journal, the ship’s crew had decided to hunt the polar bear seen in the foreground, “anxious to possess so fine a skin,” but the bear made a parting glance over its shoulder before heading for the water, managing to escape its pursuers. But it is art for sure. And I love the detail of a wrecked ship mast on the left. 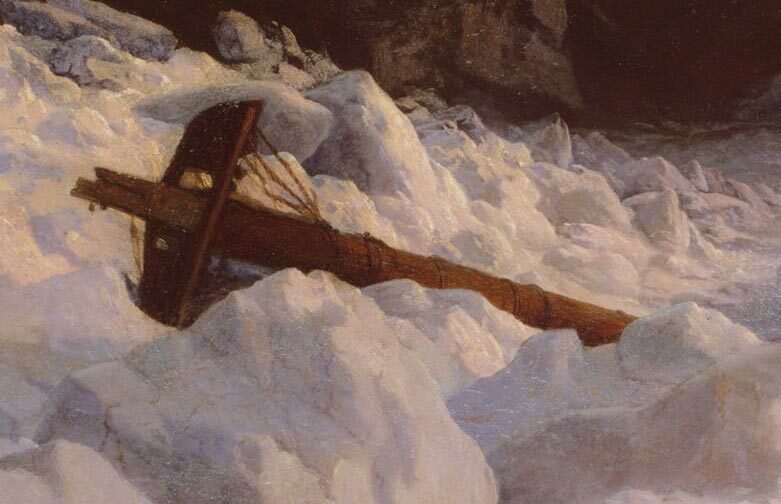 There is a long history of romantic artists balancing the struggle of man against the icy wastes. My all time favourite in that category is Landseer's Man Proposes, God Disposes. Man Proposes, God Disposes by Edward Landseer 1864. Thanks Metropolitan museum for putting it online. Posted in Art, History. 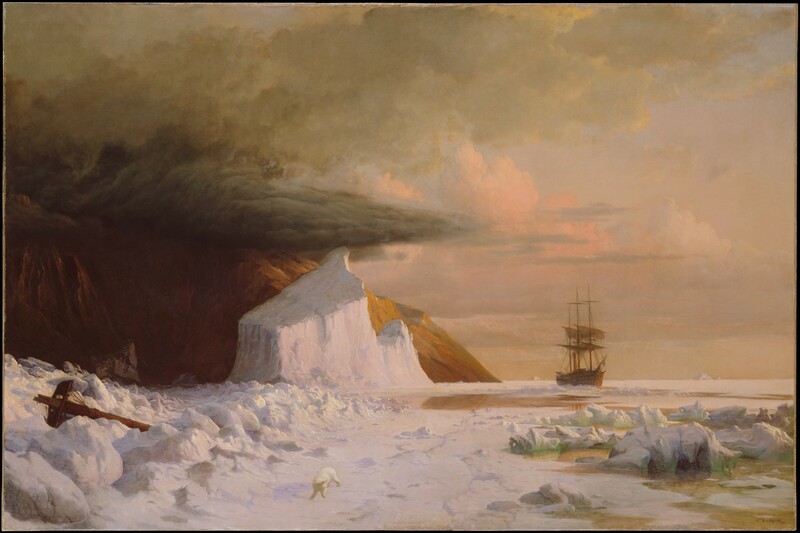 Tags: Arctic, Edward Landseer, iceberg, Melville Bay, Metropolitan Museum of Art, polar bear, sea ice, William Bradford, wreck on February 13, 2017 by Mark Brandon.